Did Royals return favor to Lorde with their new season slogan? 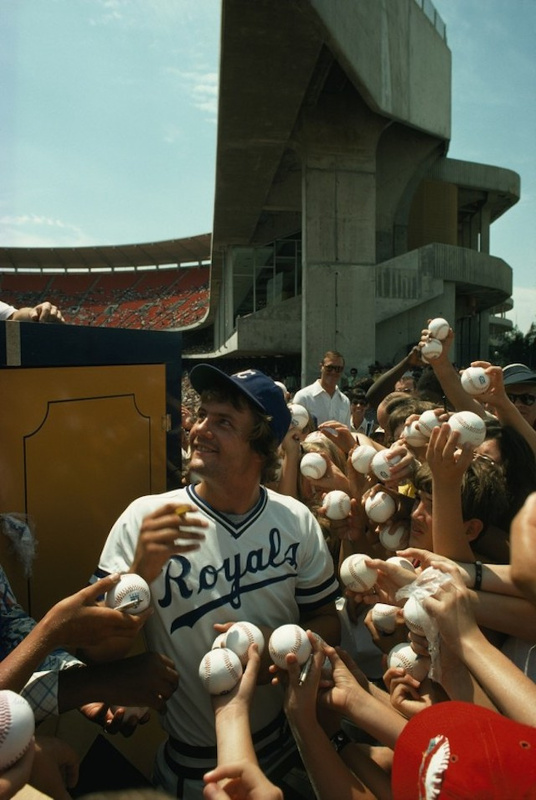 As some of you may know, the title of the hit song “Royals” by teen sensation Lorde was inspired by an old photo of George Brett. Lorde said that a photo of a Kansas City Royals player from National Geographic inspired to come up with the title of the song. As confirmed by National Geographic, the only image they have in their archive of someone from the Royals is that image of Brett. So we can safely assume that that photo is the one that inspired that great song. Well, the team is encouraging you to be Royal. Did the actual song inspire the team’s new slogan for the season? Possibly. But with their already strange and fascinating connection with one another, I wouldn’t be surprised at all. This entry was posted in Kansas City Royals, MLB, Music and tagged Lorde. Bookmark the permalink.